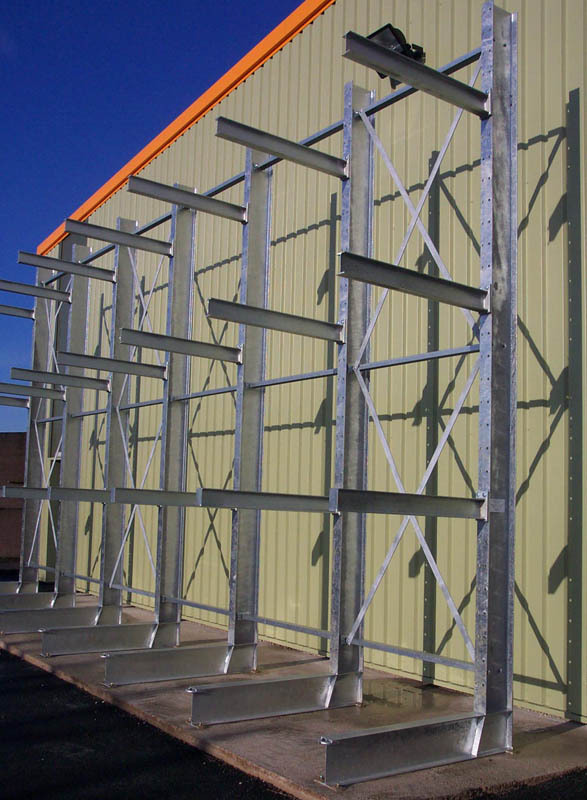 Storplan's industrial cantilever racks offer a simple, cost effective solution for storage of long and bulky items like timber, building materials, sheet steel and pipes. 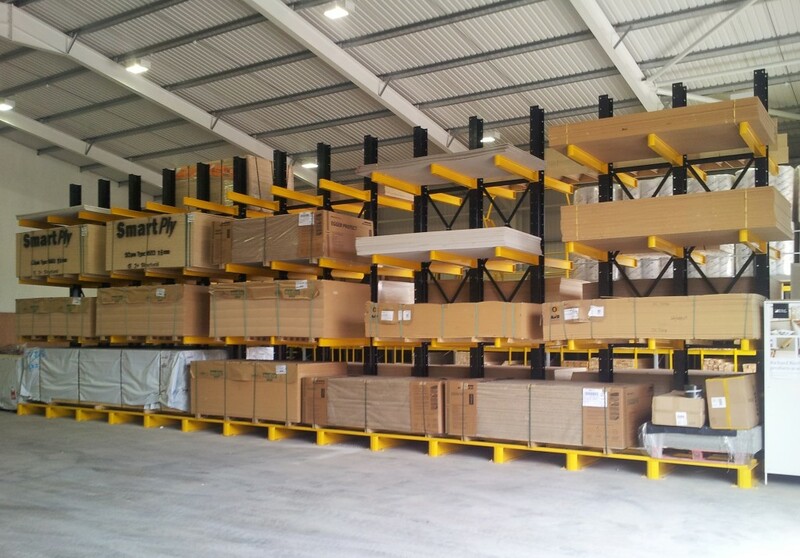 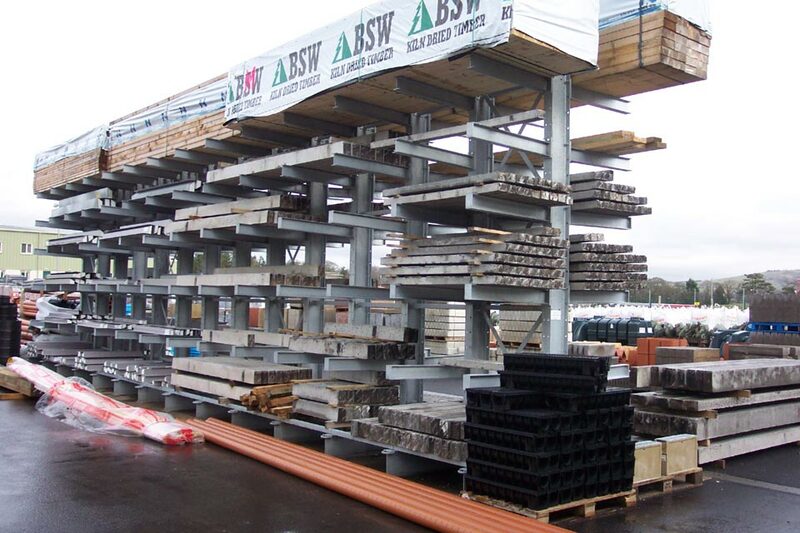 Suitable for builders merchants, timber merchants or steel stockholder racking, the special construction of Storplan’s cantilever racking system provides a self-supporting structure with cantilever arms adjustable in 150mm increments. 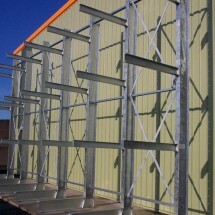 Uprights can be supplied in any height or depth and either single or double sided to meet your requirements. 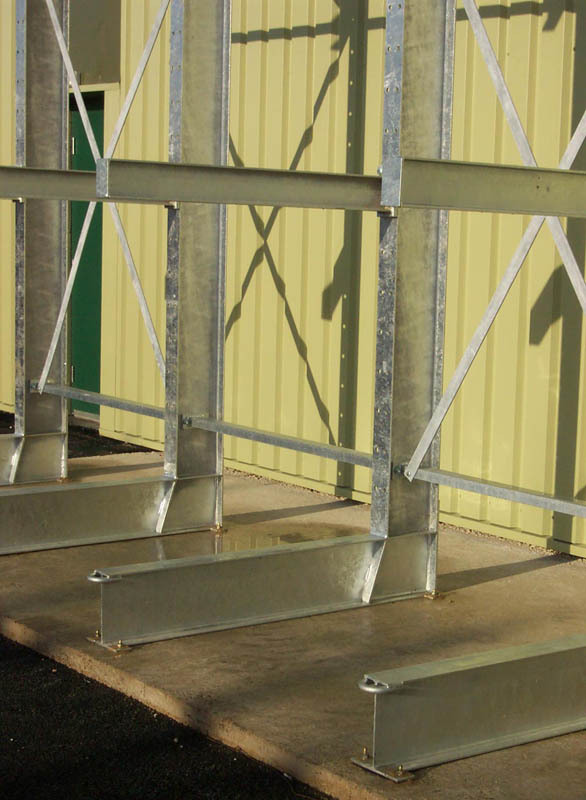 Uprights are available as single or double sided, with fully adjustable arms at 150mm intervals. 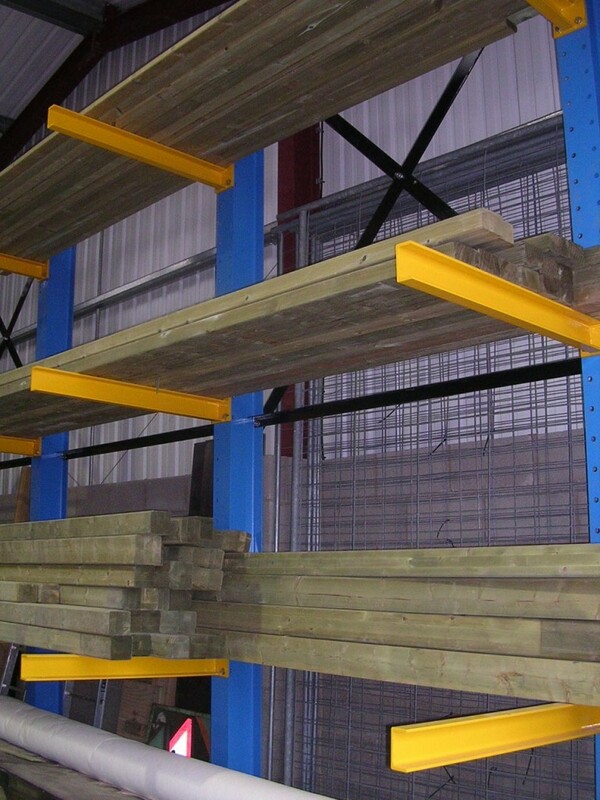 Rack loadings, bay size and arm lengths are manufactured according to your individual storage needs. 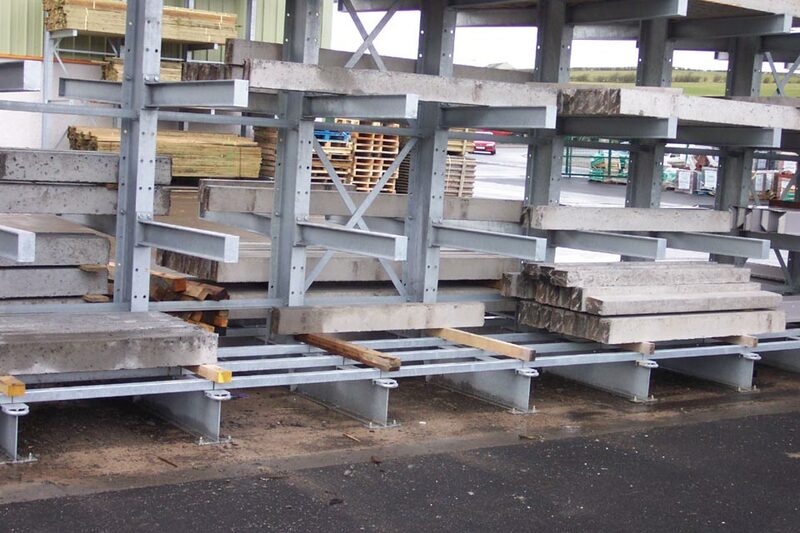 Our complete cantilever rack system is available in a galvanised finish for exterior applications and a powder coated option for internal storage. 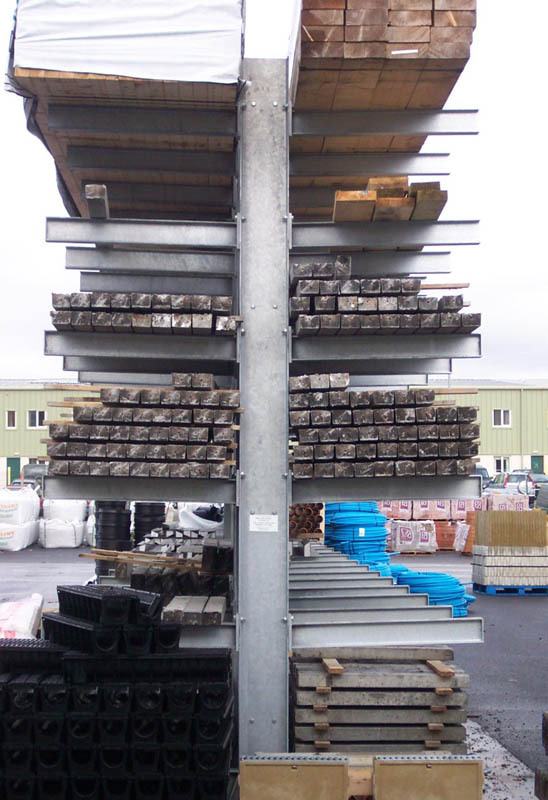 To discuss your particular requirements contact our sales team today!